You are at:Home»Inspiration»National Fish and Chip Day: How do you eat yours? As a nation, we spend £1.2bn on fish and chips, making our way through 382 million portions a year. It’s not just our national dish; it’s a way of life. But with 10,500 fish and chip shops across the UK, regional variations have been established. Northerners have a reputation for covering their chips in gravy, while southerners are known for preferring ketchup with their cod. So, what is the ultimate combination? We surveyed the nation to find out which additions are popular in different regions. 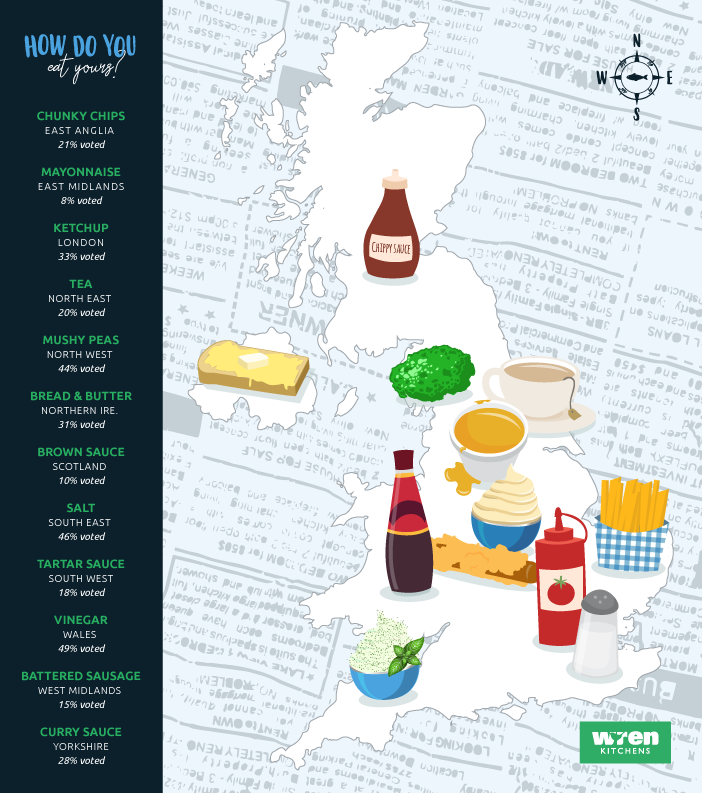 Explore the fish and chip map of Britain to see how the UK compares, and find out where you fit in!